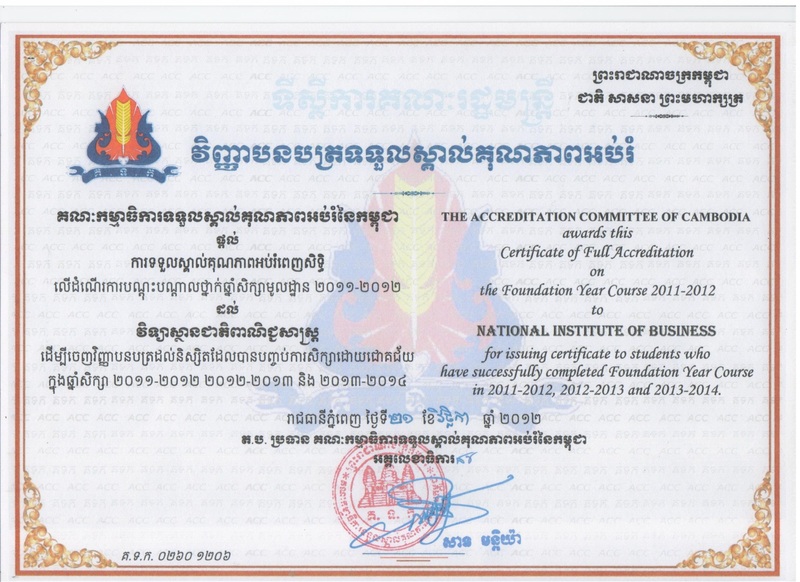 The National Institute of Business (NIB) is well-known as the oldest public school in Cambodia. 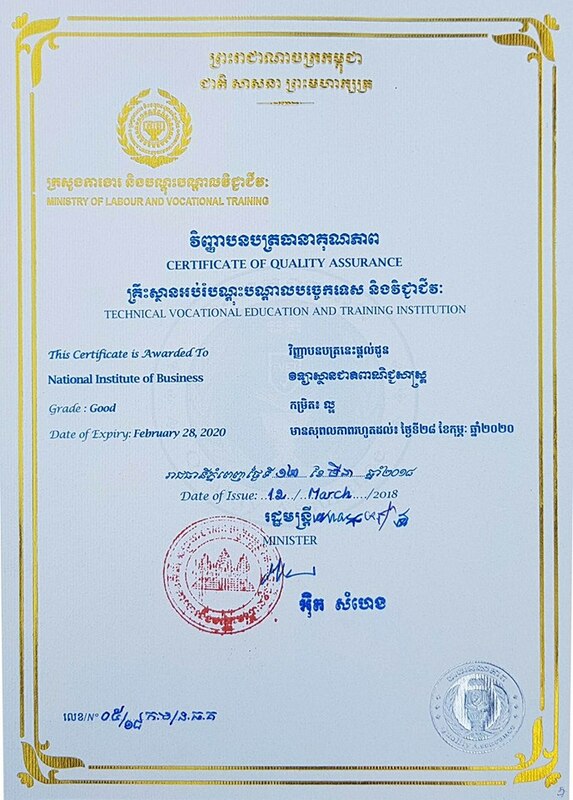 The NIB has been established since 1979 and continues to pursue a number of skills up to date. 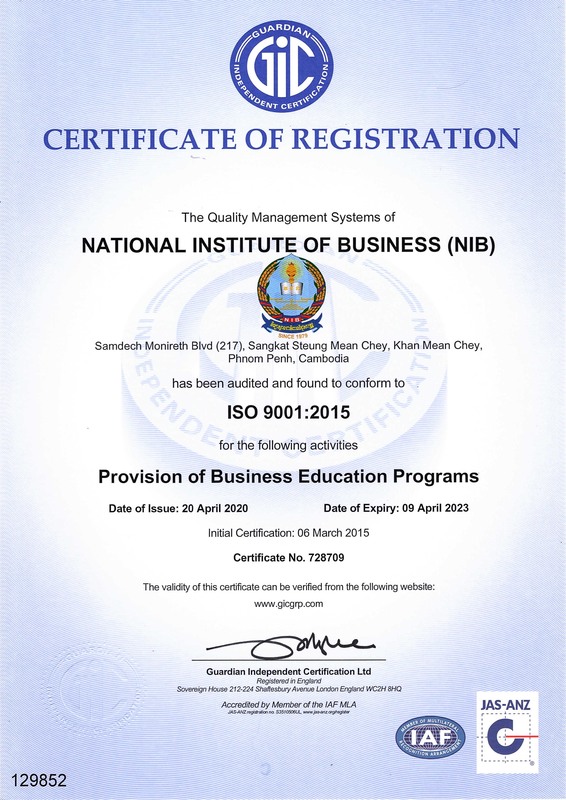 The National Institute of Business (NIB) is focus on: COMPETENCY CAREERS INCOME.